BOSS snow plows are designed and manufactured in Iron Mountain, Michigan for nearly 30 years. 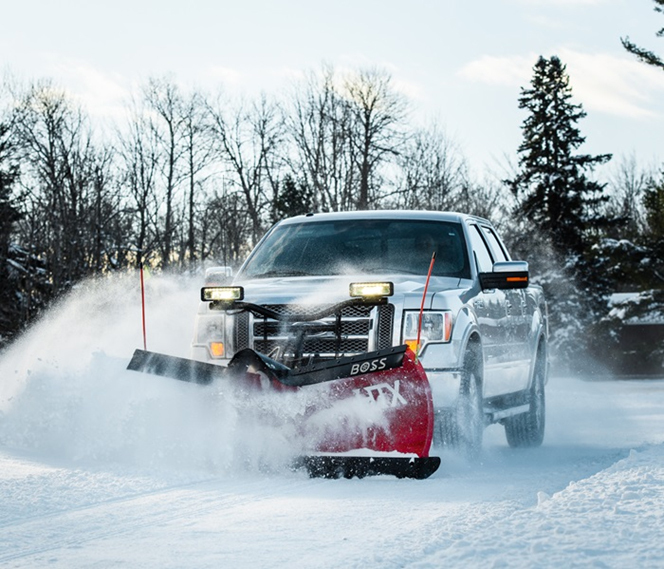 BOSS offers V-plows and straight blade plows for almost all makes and models of trucks. Accessories include plow wings, cutting edges, deflectors, plow shoes, SmartHitch2 attachment system, and many more. BOSS also offers box plows for loaders, backhoes, and skid-steers as well as sand and salt spreaders for almost any application. Come and see our Boss Snow Plow products we have V Plows, Straight Blades, Box Blades, ATV Blades and Salt Spreaders available. We have a supply of parts on hand and also service all brands of snow equipment. 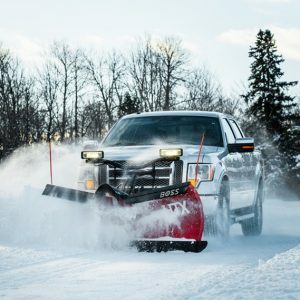 This is the best time of year to order a snow plow. 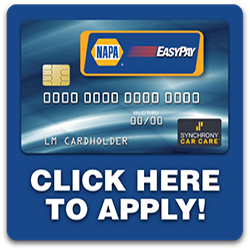 Preseason pricing is in effect NOW!